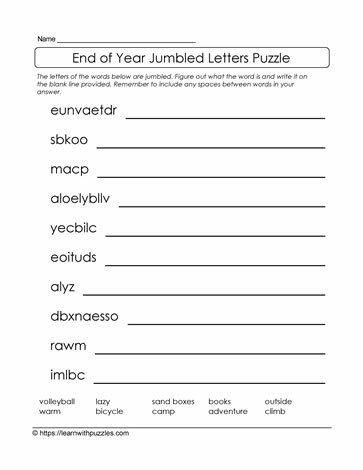 Here is an end of year jumbled letters puzzle that needs the letter patterns unscrambled in order to make sense of the word. The word bank at the bottom of the puzzle supports differentiation in the classroom. Suitable for working with English language learners acquiring English.